A totally stunning designer vernis by Dior's # 795. NEW No Box Demo -MINI SIZE 7ML. 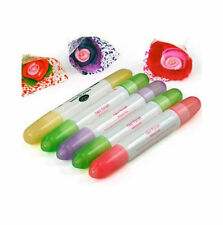 Limited edition, mini size (7ml). Hard to find. New demo, not in box. Just lovely. CHRISTIAN DIOR. DIOR Milk Dots Collection. As a topcoat, its semi-transparent Black formula coats varnish with a veil of smoky lacquer, extending wear,Visibly increasing shine. Christian Dior Rock Coat the ultimate Topcoat. Christian Dior Rock Coat Nail Varnish x 2. DIOR Le Vernis. Grab a gorgeous, rare, designer vernis! 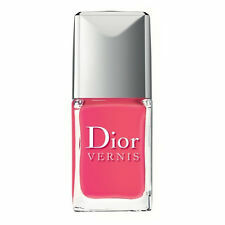 Hard-wearing, easy to apply, smooth, excellent Dior nail formula for long-lasting, glowing color shine. Very chic, ultra-wearable, versatile, modern shade! DIOR Vernis METROPOLIS 701 Grey Green BNIB Urban Chic Nail Polish LTD FAB RARE!! A stunning designer vernis by Dior. CHRISTIAN DIOR. Dior COSMOPOLITE Collection. Superb Style! 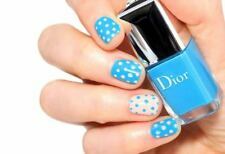 Ea sy to apply, smooth, hard-wearing, excellent Dior nail formula for long-lasting, glowing color & shine.